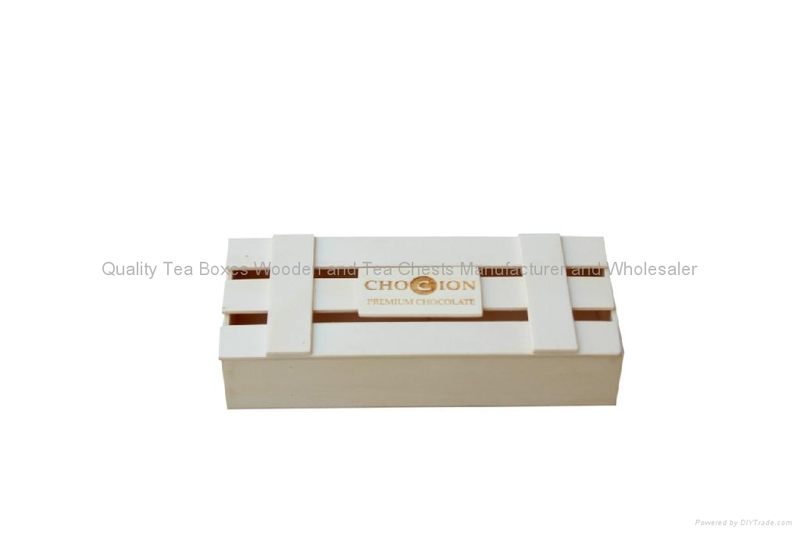 This nice natural wood box is designed for chocolate packing. This is a standard chocolate box in the market. But our box is much cleaner and smoother. At Extreme, we understand much more how to meet with food safe standard, especially for such chocolates. So all the things we used for such box is food safe and meet with requirements for European and US market. Customer's logo is engraved onto the wood pieces. Also different type wood and sizes is available for such box. We take great pride in manufacturing the highest quality, custom made chocolate wooden boxes and chocolate boxes in wooden for each and every customer. We have the skilled workforce and expertise required to meet any and all of your wooden box needs.